The Assassin’s Creed Audiobook series, by Oliver Bowden, is a collection of audiobook novels set within the Assassin’s Creed video game universe. The audiobooks follow various assassins of the war with the Knights Templar. 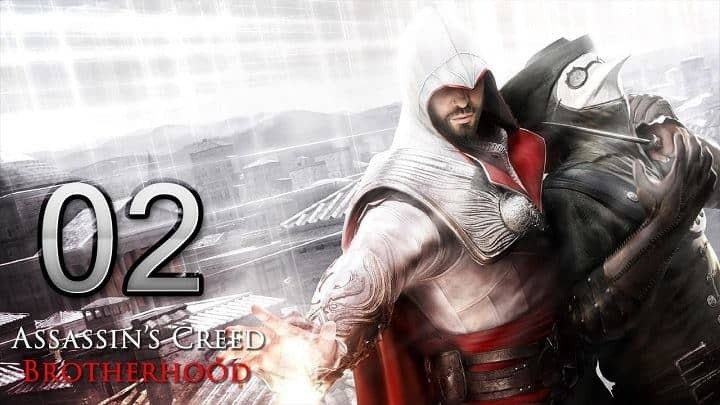 Assassin’s Creed 02 – Brotherhood Audiobook is the second novel in the Assassin’s Creed Audiobook series. It’s a novelized version of the popular game Assassin’s Creed: Brotherhood. 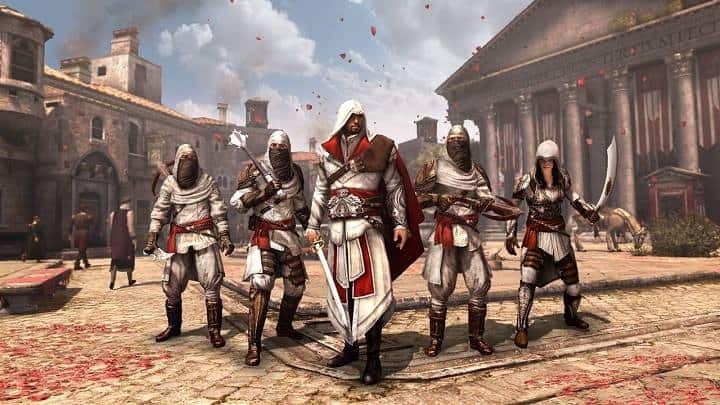 Just like its previous audiobook, Assassin’s Creed: Renaissance Audiobook, it does not contain any of the game’s present-day events including Desmond, only a reference to a “phantom” by Ezio. The story takes place four years after the video game’s story (1499), in 1503. Rome, once mighty, lies in ruins. The city swarms with suffering and degradation, her citizens living in the shadow of the ruthless Borgia family. Only one man can free the people from the Borgia tyranny- Ezio Auditore, the Master Assassin.